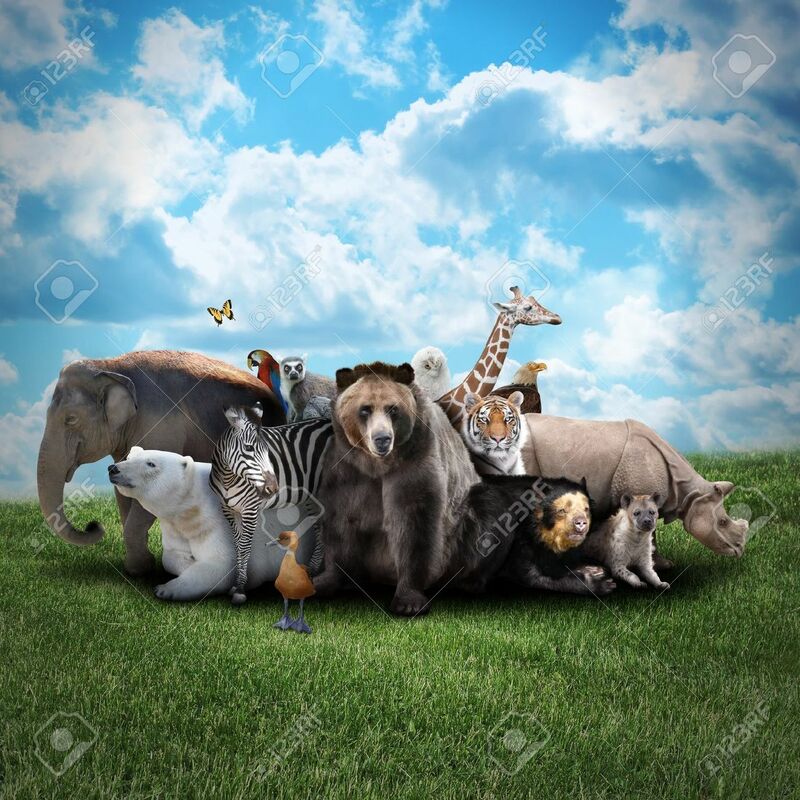 A Group Of Animals Are Together On A Nature Background With Text Area. Animals Range From An Elephant, Zebra, Bear And Rhino. Фотография, картинки, изображения и сток-фотография без роялти. Image 20235498. Фото со стока - A group of animals are together on a nature background with text area. Animals range from an elephant, zebra, bear and rhino. A group of animals are together on a nature background with text area. Animals range from an elephant, zebra, bear and rhino.